According to a media report, Maruti Suzuki has stopped producing the Alto 800 in India. Sales are likely to continue until stocks last. 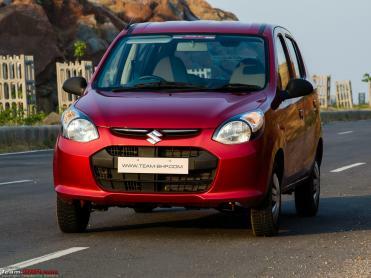 It had been reported that Maruti Suzuki was unlikely to update the Alto 800 to comply with the new emission and safety norms. However, it would be replaced with a next generation model based on the Concept Future S. The car is rumoured to debut sometime around the July 2019. The Alto 800 was launched in 2012 as an entry-level model. It replaced the ageing Maruti 800. The car was powered by a 796cc, 3-cylinder petrol engine that produced 47 BHP @ 6,000 rpm and 69 Nm of torque @ 3,500 rpm. It was also offered with a CNG option with a slightly lower output. It made 40 BHP and 60 Nm of peak torque. A 5-speed manual transmission was offered as standard across all variants.